Strava worked with some of the industry’s best coaches at CTS to develop ten unique workout program for Premium members. It’s hard to forget a great coach – maybe a high school cross country coach, captain of your university’s soccer team, or coach of your local cycling club. They provided the structure, tough love, and confidence to set goals and achieve what we might not be able to on our own. Coaching can mean the difference between good and great, yet the further we get from competing on an organized team or at a fairly elite level, the less access we have to a coach. Many of us at Strava benefit from informal “coaches” around the office — for example, Run Marketing Manager Larissa Rivers leads a Workout of the Week on Wednesdays, and Product Manager Andrew Valko offers impromptu swim lessons. On those cold, rainy days or when motivation is otherwise lacking, the structure of a specific workout makes all the difference. So we started thinking: how could we scale the value of coaching to the entire Strava community? Strava worked with some of the industry’s best coaches at CTS to develop training plans for cyclists. The coaches at CTS have helped thousands of amateur and professional athletes around the world. They’ve also been recognized by leading organizations such as USA Triathlon, Kurt Kinetic, Outside Magazine, the Amgen Tour of California and the USA Pro Cycling Challenge for their proven coaching methodology. Now all Strava Premium members can access these customizable workout programs. Rather than focus on a specific race or distance, each training plan is designed to optimize performance on a different type of Strava segment. Regardless of whether you’re looking to set a personal best up a grueling climb, hammer a short sprint, or just build your base before spring season, we have a plan for you. On Strava.com under the “Training” menu, select from 10 unique workout programs. Each plan is 4-weeks long with a specific focus – from explosive neuromuscular and anaerobic power for short sprints to lactate threshold and sustained endurance for longer climbs. You can customize your plan based on your weekly training volume – from 5 hours per week to 12. 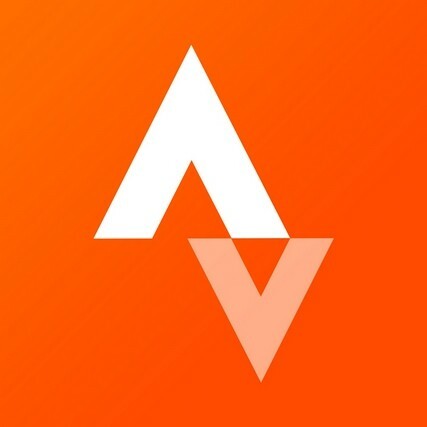 Training Plans are the newest addition to Strava Premium. If you’re not a Premium member, join now to get unlimited access to Training Plans and other features like Goals and advanced workout analysis tools to take your training to the next level. Once you start a plan, you’ll get an email summarizing your program and daily emails with the next day’s workout. All plans include 5 weekly workouts that can be completed indoors or outdoors, with interval workouts on Tuesday, Wednesday, and Thursday; longer rides on Saturday and Sunday; and rest days on Monday and Friday. Feel free to adjust the workout days based on your schedule, but be sure to take adequate rest to recover from the long rides and interval workouts. Select a plan based on your fitness focus or even a segment goal you may have. For example, if you’re training for a ride with elevation gain, chose the 60+ minute climb that builds climbing endurance. Alternatively, choose the 45-second-sprint for explosive, neuromuscular power. If you have a specific segment in mind, choose the plan that best matches your recent or best average times. For example, if you typically climb a local hill in 5:30, you should choose the 6-minute climb plan option to improve. Set a goal, pick a plan, and see how far you take your training this season.